Your new pet should come in to see us as soon as possible. They’ll receive a full physical exam, and this will help familiarize them with our hospital and staff from an early age. The first 6 months are a critical period of development for puppies and kittens. Younger animals have weaker immune systems and are more susceptible to infection from contagious diseases and parasites. Without proper protection, diseases such as parvo and distemper can quickly kill a young pet and can easily spread throughout the community. 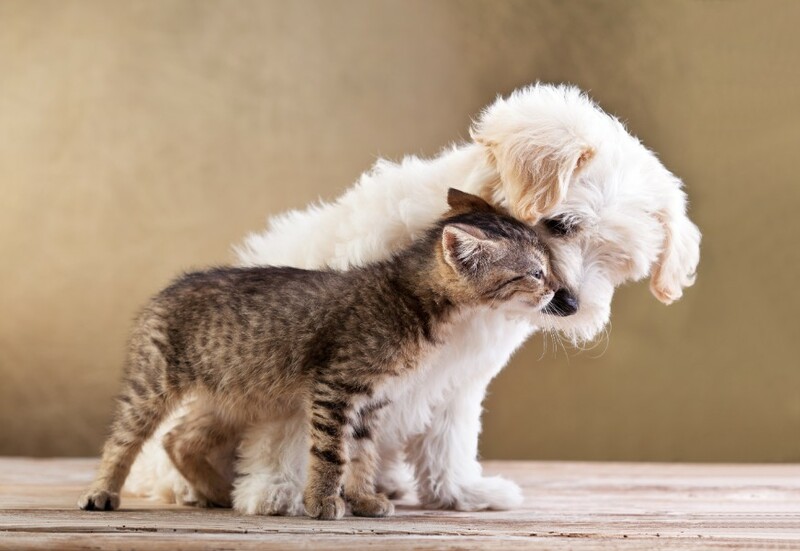 For this reason, puppies and kittens need to be seen by their veterinarian more frequently during the first few months of life. Our puppy and kitten wellness programs are designed to take the guesswork out of caring for your pet during this critical stage of life. Both puppies and kittens require a series of vaccinations roughly 3-4 weeks apart between the ages of 8 and 16 weeks. With our program, your new pet will receive a checkup and vaccines at 8, 12, and 16 weeks of age. Your veterinarian will perform a physical exam during each visit and administer your pet’s vaccinations. This is also your opportunity to discuss any questions or concerns you might have about caring for your new pet. We’re thrilled that you’ve chosen Rocklin Ranch Veterinary Hospital to look after your new companion! Please don’t hesitate to contact us for any reason or to schedule an appointment. We look forward to meeting your newest family member!